Authentic U.S. Mint Lincoln Cent Die Set, with Box and COA! NYCB acquired these authentic U.S. Mint Lincoln Cent dies that we're offering to our clients in a beautiful gift set. 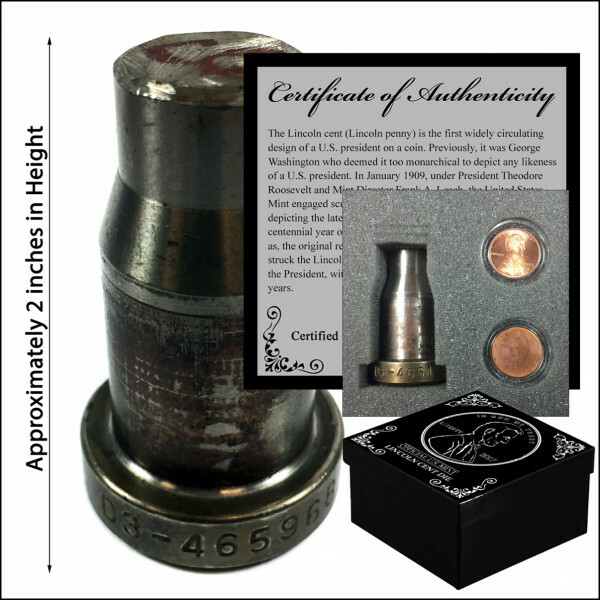 The set comes complete with a real die, a real Lincoln Penny and blank, and Certificate of Authorization. For the avid collector these are a must have addition to any collection. 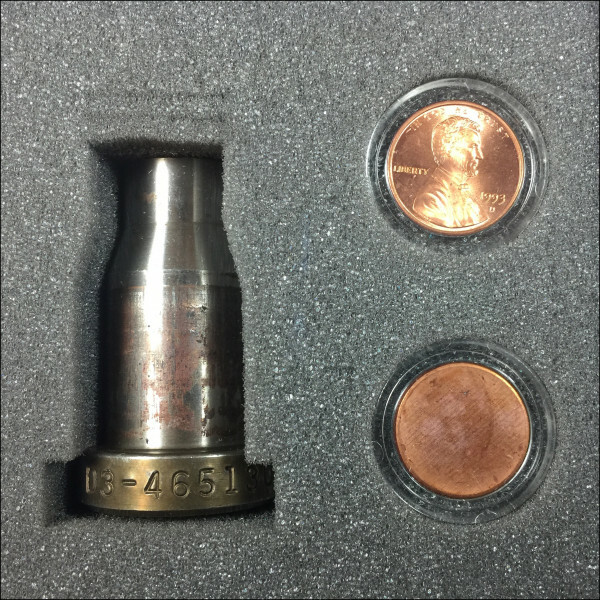 Imagine having the actual die that produced countless pennies used worldwide! Naturally, the penny has been machined away by the mint for security and counterfeit purposes. 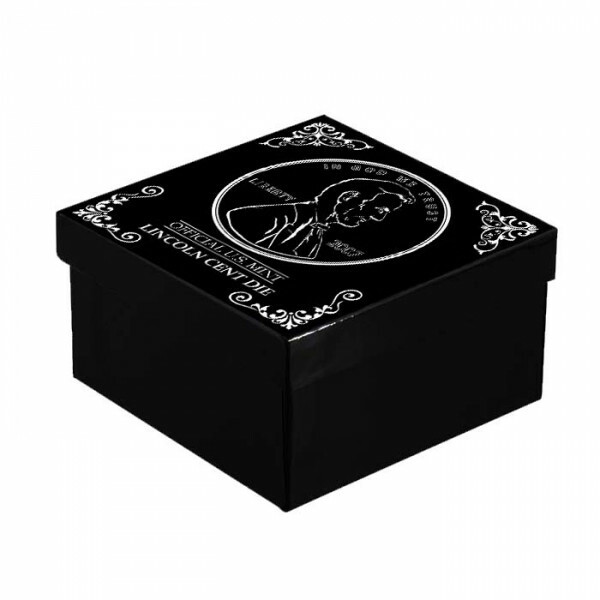 You’ll receive your die in a beautiful display box with a Lincoln cent and planchet. 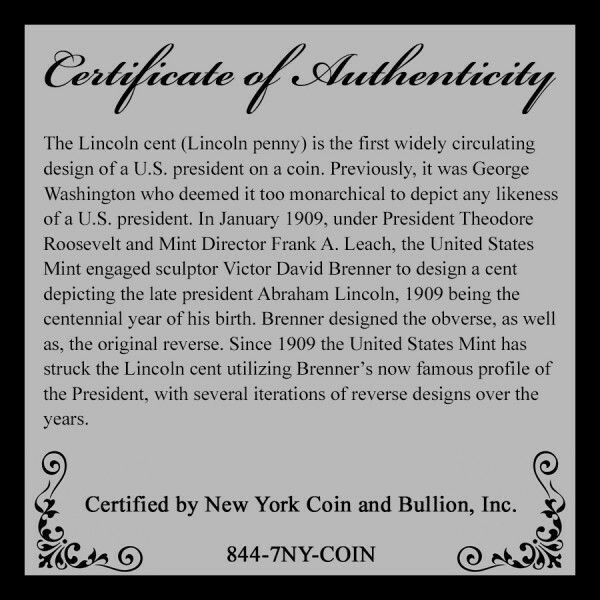 Also included is a Certificate of Authenticity that details key highlights of the history and development of the Lincoln Cent. Not a collector, but know one? Want to inspire a young mind to begin collecting? These products make the perfect gift for birthdays and holidays! •	A coin die is one of the two metallic pieces that are used to strike a coin, one per each side of the coin. A die contains an inverse version of the image to be struck on the coin. Striking a coin refers to pressing an image into the blank metal disc, or planchet, and is a term descended from the days when the dies were struck with hammers to deform the metal into the image of the dies. •	Modern dies made out of hardened steel are capable of producing many hundreds of thousands of coins before they are retired and defaced.